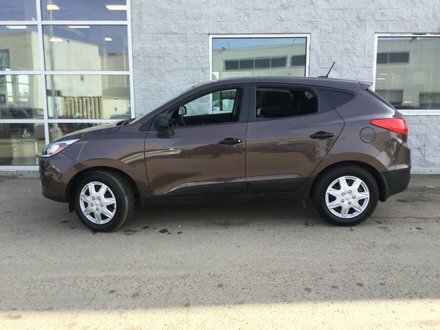 2016 Hyundia TUCSON LIMITED has 1.6L Turbocharged engine, automatic transmission, AWD, PANORAMIC SUNROOF, BLINDSPOT detection, PREMIUM LEATHER interior, HEATED seats, power seats, NAVIGATION, TOUCHSCREEN W/REARVIEW CAMERA, AM/FM/CD/MP3, ANDROID AUTO/APPLE CARPLAY, BLUETOOTH, air condtioning, DUAL CLIMATE CONTROL, KEYLESS entry, PUSH BUTTON start, REMOTE STARTER, and lots more! 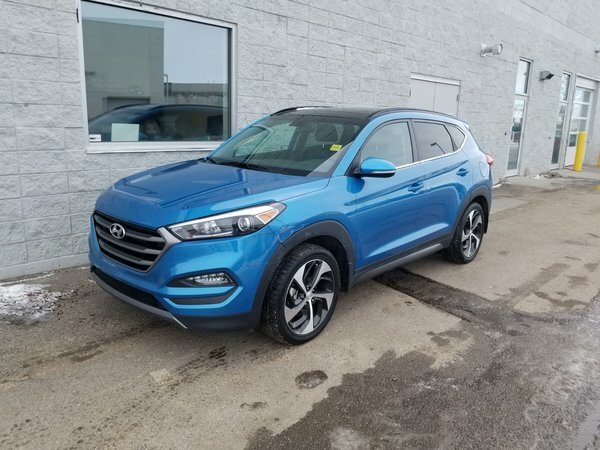 This Sporty SUV still has reamining FACTORY WARRANTY, and recieved a complete mechanical inspection for your peace of mind. 1.6L 4 Cylinder Engine - 4 cyl.